Ripe tomatoes are harvested, salted and dried outdoors in the intense sun of July and August. 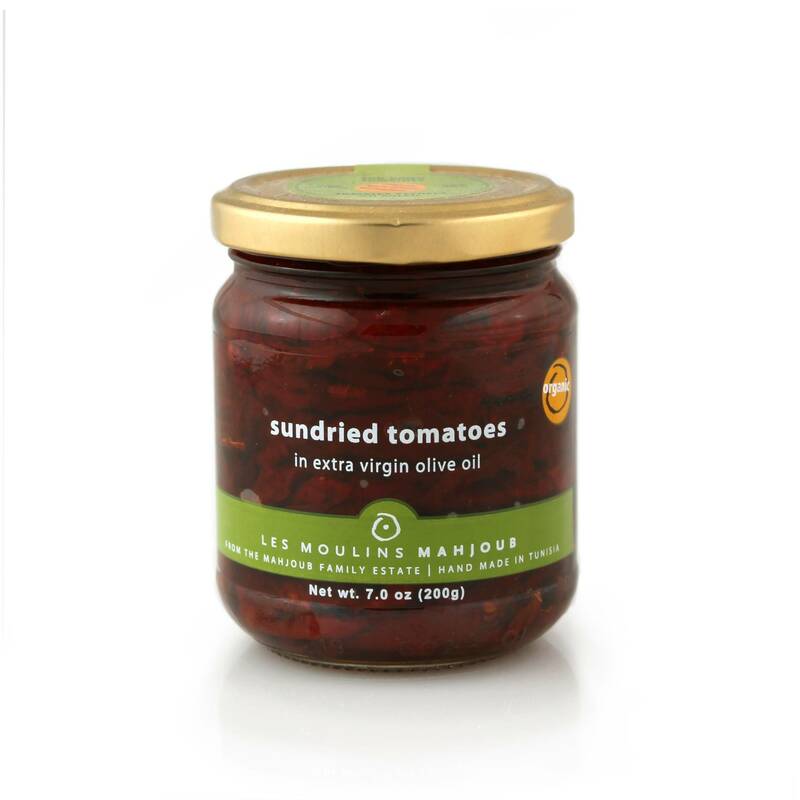 Three pounds of fresh, ripe tomatoes are concentrated into this 7 oz jar - hand packed in Extra Virgin Olive Oil. Julienne these tomatoes and add to couscous and a variety of other dishes for extra depth of flavor. Keep the oil to drizzle over grilled vegetables, to dress salads or use as dipping oil for bread. These tomatoes are ready to open and eat or to use as ingredients to enhance your home cuisine.